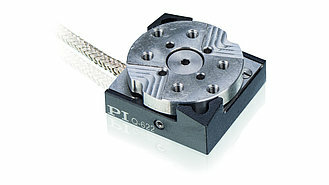 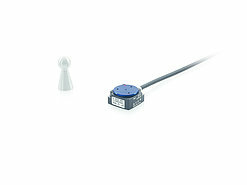 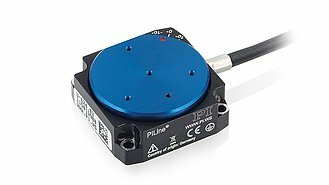 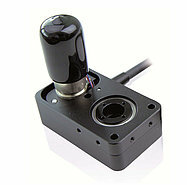 Rotation stages with piezomotor make for particularly compact sizes. 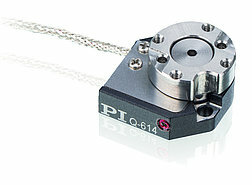 Many applications in microscopy require free light passage. 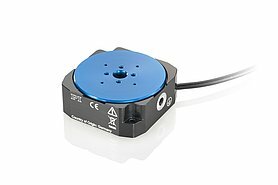 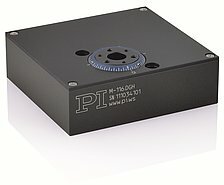 These compact rotation stages can also be used in optics applications, where they position, for example, filters reliably and with excellent repeatability. 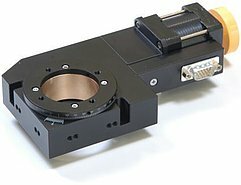 Rotation stages can be mounted on linear stages without adapter and allow for flexible combinations of multi-axis positioning systems.